Is Not Chicago | The Most Dangerous Road. In the World. The Most Dangerous Road. In the World. 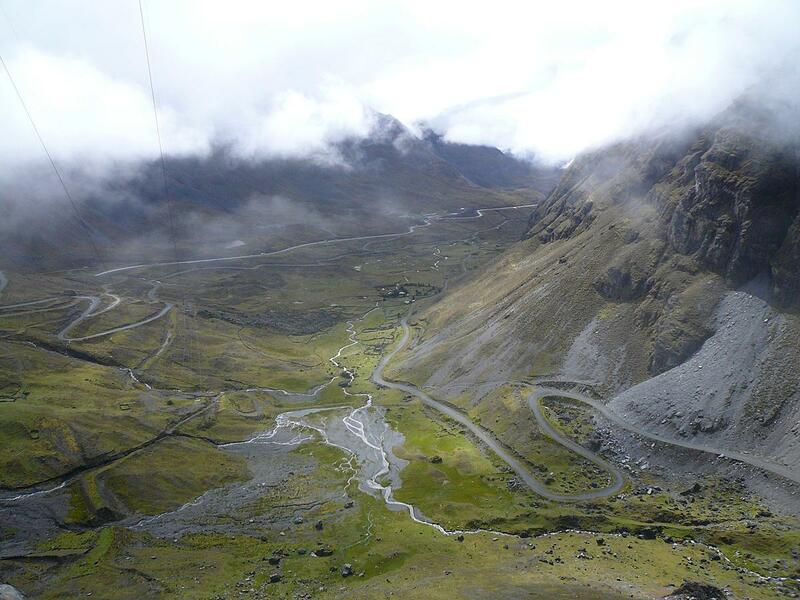 North Yungas Road, leading from La Paz to Coroico, Bolivia has been christened “the world’s most dangerous road”. 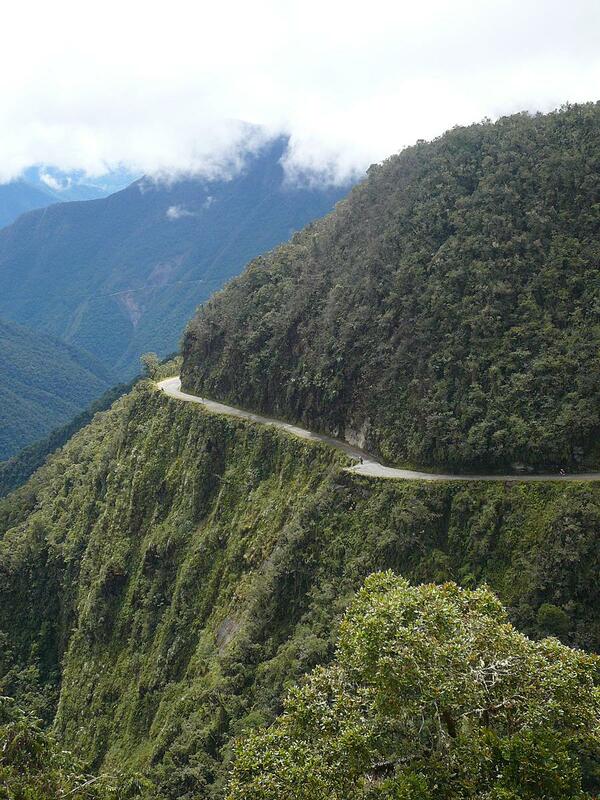 It’s affectionately known now as “Death Road”. 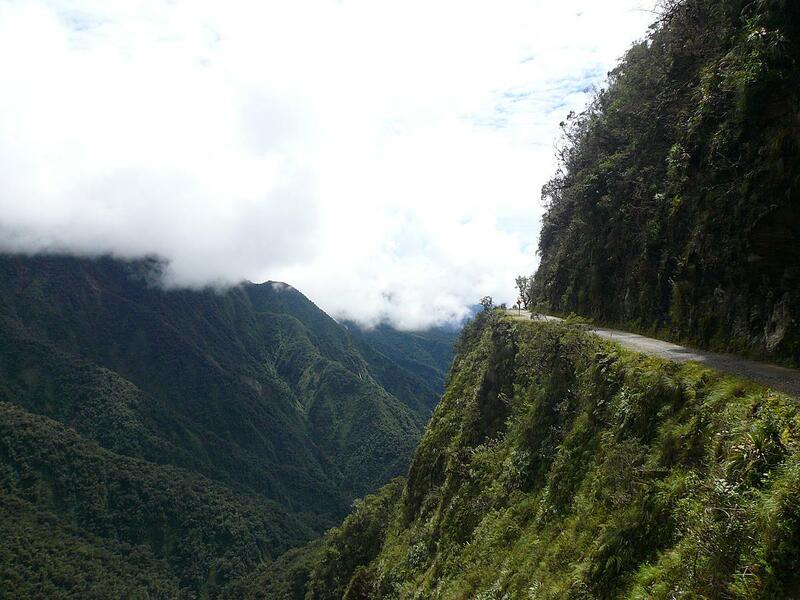 It winds down the side of mountains rarely more than a single lane wide and even more rarely with guardrails. 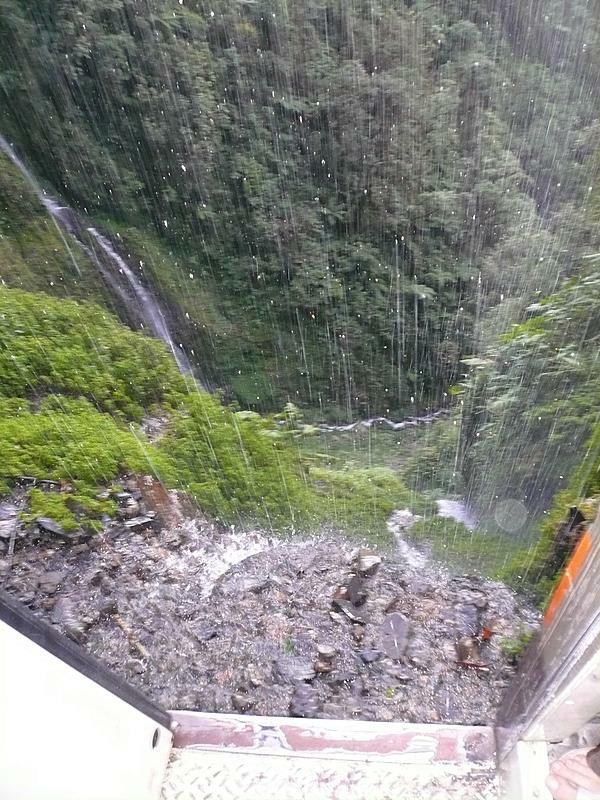 The road goes under waterfalls, over streams, with the sheer dropoff just outside the window. In the past, over 200 people died on the road every year. It’s the one road in Bolivia where you drive on the left hand side of the road. The idea is that when two cars meet, the one going downhill will move to the outside. They will then have the best view of how near their tires are to the edge. I highly recommend the Top Gear Bolivia special (available on Netflix streaming) for a great–although slightly contrived–experience of Death Road. Nowadays, they’ve built a new road that practically all cars use instead. 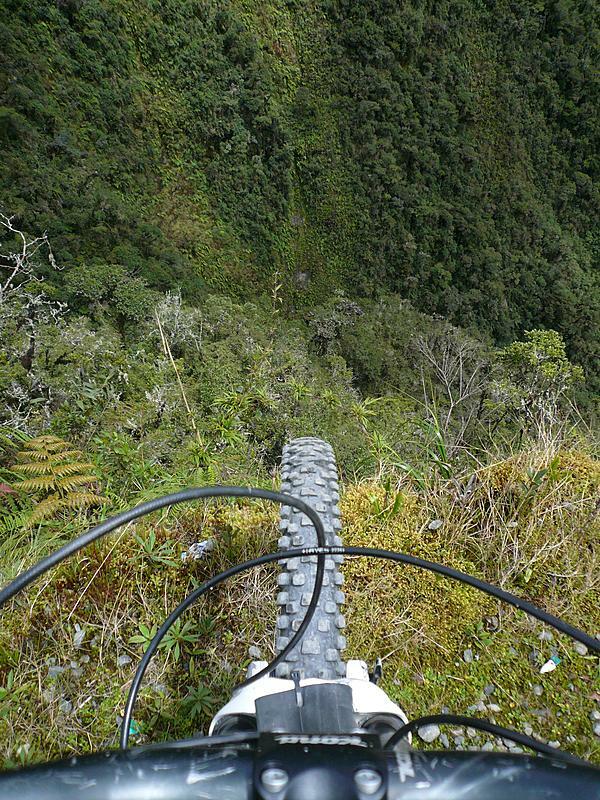 This significantly decreases the danger on the road making it perfect for downhill biking. You still have the steep dropoffs, the lack of guardrails. Just no cars to avoid. 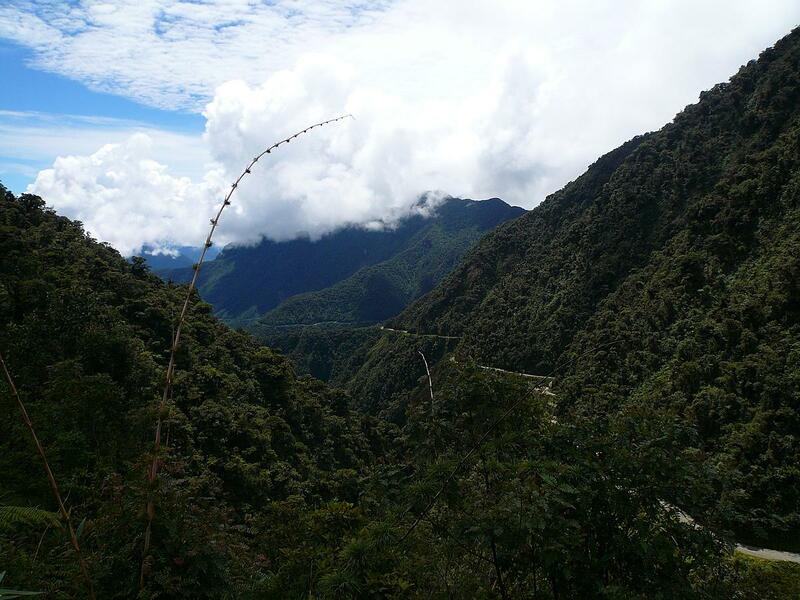 The full adrenaline rush combined with the natural beauty of the area is nearly ineffable. I highly recommend it you’re ever in La Paz. After the bike ride down, we did the biggest zipline I’ve ever seen. 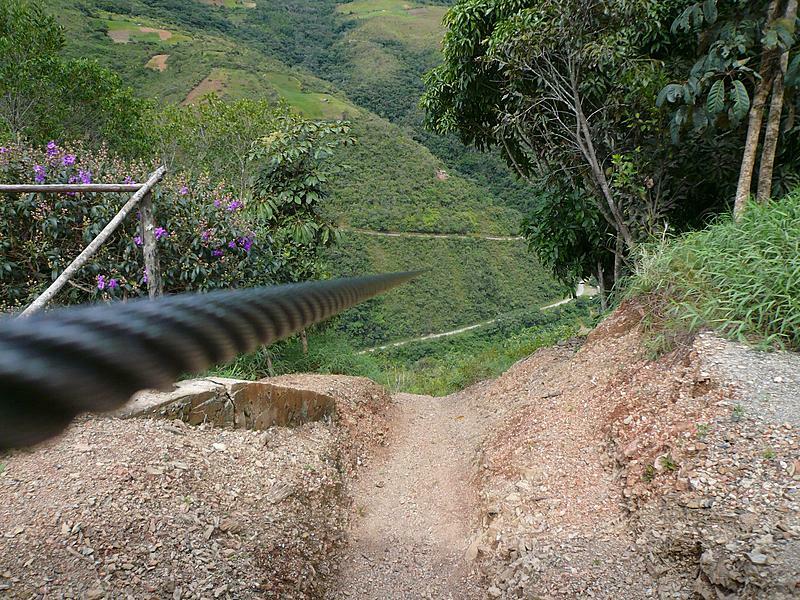 It’s three lines, the first is the highest: over a kilometer over the valley floor. The second is the fastest: reaching speeds of 85km/h, and the longest: 587 meters taking over a minute to reach the other side. Also highly recommended. Then we had the pleasure of 3 hours back up the same road, this time in a van. I think that was actually scarier than biking down. 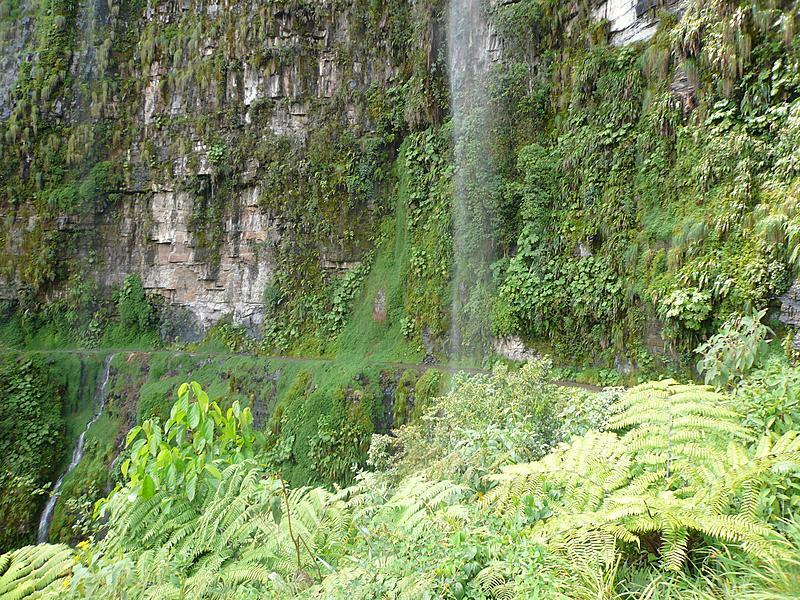 Oh, here’s the waterfall the Top Gear guys got stuck under head to head with another car. The odd part is that there’s a turn-off to let cars pass about 20 meters away.